The latest batch of Oscar nominations are in, and it’s time for die-hard movie buffs to catch up with whatever they missed, before the winners are announced March 2. Many of the nominees are still playing in theaters, but six of them are currently streaming on Netflix, making for very convenient viewing. Additionally, we threw in four memorable Oscar winners from the past few years. Enjoy! 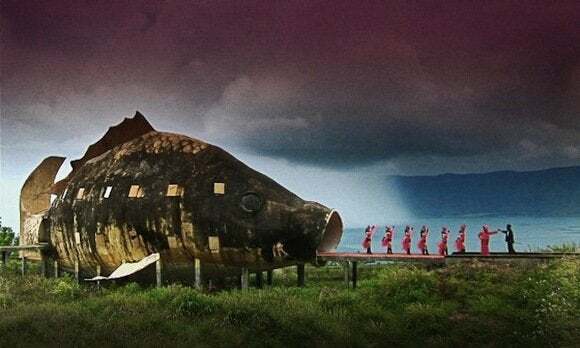 Nominated for Best Documentary, The Act of Killing (2013) is a radical act of filmmaking unlike anything ever made. In fact, it’s so off-the-charts insane that one of the three directors, and most of the crew members, preferred to be credited as Anonymous. In the mid-1960s, in Indonesia, the government employed death squads to hunt and kill communists. Now the filmmakers interview killers Anwar Congo and Adi Zulkadry, and, to go one further, ask them to re-create some of their most memorable killings for the camera, complete with costumes and makeup. It’s absolutely shocking to see that these killers have very little guilt or reservations about what they did. They saw themselves as enthusiastic, romantic gangsters, inspired by American movies and full of swagger. But at the same time the filmmakers seem to be subtly deceiving their subjects into giving up the truth. Rampantly ungraspable and indefinable, it’s downright difficult to watch, but worth the effort. From the angular, blockish look of the characters and the unpromising title, The Croods (2013) might seem like a primitive movie, loaded with fart jokes. But in practice, this Best Animated Feature nominee is surprisingly graceful, funny, and even lovely. The prehistoric backdrops are gloriously colorful and endlessly inventive, and the characters grow to be warmly sympathetic, with a minimum of vulgarity. The Crood family manages to survive their world by being extremely careful. But now, as their home is about to be wiped out by a changing world, a semi-evolved human, Guy (voiced by Ryan Reynolds), turns up and reluctantly agrees to lead them to a new land. Cautious dad Grug (voiced by Nicolas Cage) is very much against this, but forward-thinking—and smitten—daughter Eep (voiced by Emma Stone) is all for it. Best Documentary nominee Cutie and the Boxer (2013) tells the story of 80-year-old artist Ushio Shinohara and his wife, Noriko. Unable to pay their bills, Ushio prepares for a new exhibition, hoping to sell some of his “boxing” paintings (he bashes the canvas with paint-dipped gloves) and bizarre motorcycle sculptures. Noriko, for her part, is not content being Ushio’s muse or assistant and creates a series of drawings illustrating their loving, but tumultuous, 40-year marriage, which she also hopes to exhibit. Director Zachary Heinzerling does not spend a lot of time introducing us to the artists or explaining their historical significance. He does include some rare 1970s-era home movie footage of a drunken Ushio for perspective, but the entire focus is on their shorthand as it exists today; their behavior around each other is worth a thousand words. 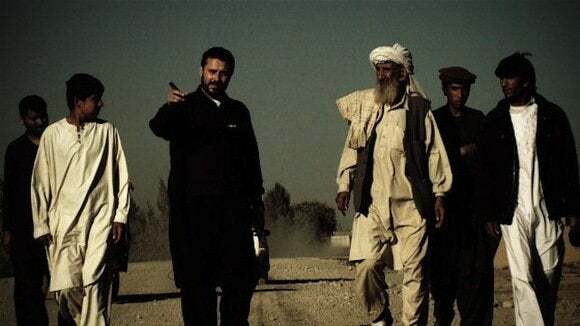 Another Best Documentary nominee, Rick Rowley’s Dirty Wars follows journalist Jeremy Scahill as he investigates secret nighttime raids by American soldiers in Afghanistan. Eventually he learns that these raids, performed by the all-powerful Joint Special Operations Command, have taken place in countries not actually at war, and that several civilians have been killed. Traveling from country to country, Scahill makes one shocking discovery after another, including that an American citizen was targeted by his own country. But no matter how quickly or efficiently a “kill list” is completed, there’s always another, longer list waiting. Scahill’s presence on camera is sometimes distracting, doing that journalistic nodding thing from Broadcast News, but he also makes the experience more personal and immediate. 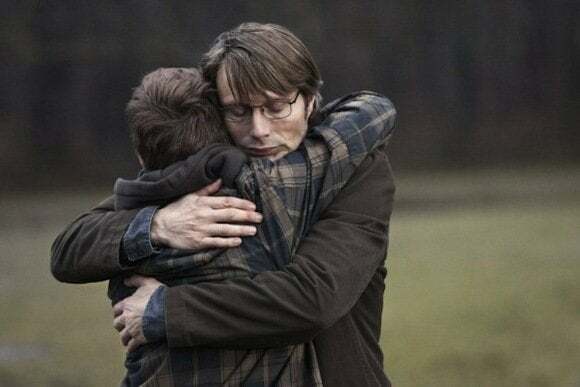 From the hand of Danish director Thomas Vinterberg, Best Foreign Language Film nominee The Hunt starts off brilliantly. Mads Mikkelsen stars as Lucas, a divorced kindergarten teacher. The children love him, especially a little girl named Klara (Annika Wedderkopp). During a playroom romp, she tries to kiss him and the shocked Lucas gently rebuffs her. Later, unable to understand or articulate the hurt she feels, and drawing upon some unsavory influences from her older brother, she hints that Lucas has done inappropriate things to her. The insidious thing is that, though the audience is privy to these events, there’s absolutely no simple explanation for, or proof of, Lucas’s innocence. Unfortunately, Vinterberg falls back on simplistic follow-up scenes, as well as clunky symbolism and a cop-out ending. But before that, The Hunt is harrowing. 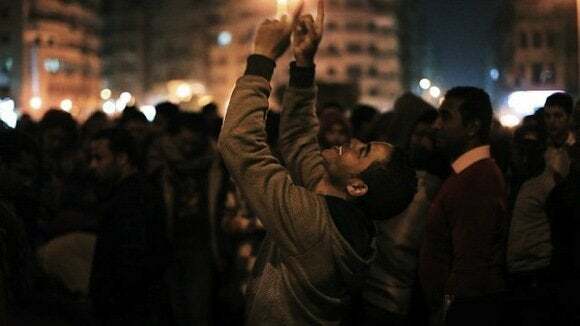 A powerful Best Documentary Feature nominee about the recent uprising in Egypt, The Square (2013) begins in 2011, when citizens—tired of living in fear of the secret police—converge on Tahrir Square in Cairo to protest against President Mubarak. But the film shows that a revolution is a work in progress, as it chronicles the temporary military regime, as well as the new Muslim Brotherhood-backed president Mohamed Morsi, who redrafts the constitution to give himself new, unchecked powers. The film is shot with striking immediacy, from the ground level, focusing on five young protesters, including the actor Khalid Abdalla (United 93, The Kite Runner). It must have taken extraordinary amounts of skill and concentration for Cairo-born director Jehane Noujaim to keep several cameras running, and then make sense of the melee of footage at the end. 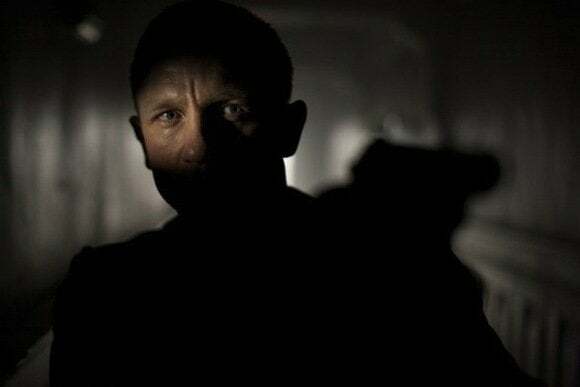 After the serious misfire Quantum of Solace, the James Bond series reached new heights when Oscar-winning director Sam Mendes took over for the excellent Skyfall (2012). Working with the great cinematographer Roger Deakins and an extraordinary set design, Skyfall follows James Bond (Daniel Craig) as he tries to secure a stolen hard drive filled with names of undercover MI6 agents. Judi Dench gets some choice moments as M, and the series is recharged with some new blood (Ralph Fiennes, Naomie Harris, and Ben Whishaw), while Javier Bardem becomes one of Bond’s most memorable villains. This movie paints Bond as a bit sadder than before, more trapped and damaged, rather than just merely cold and aloof. It received five Oscar nominations, more than any other Bond film before it. It won Best Sound Editing—tied with Zero Dark Thirty—and Best Original Song for Adele’s title track. James Marsh’s Best Documentary winner Man on Wire (2008) is a great deal of fun, playing not unlike a crafty caper film with loads of spine-tingling suspense. 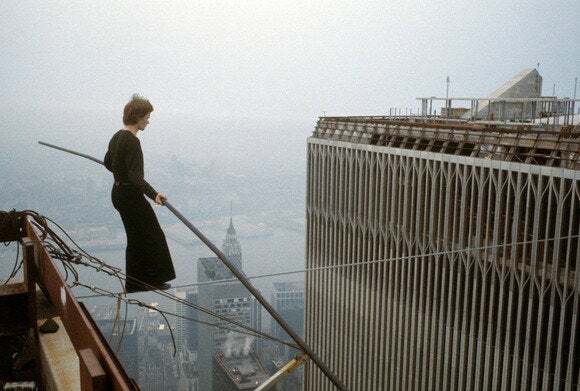 It tells the story of French tightrope walker Philippe Petit, who in 1974 walked on a wire stretched between the twin towers of the World Trade Center. Of course, this was illegal—he couldn’t get permits—so he and a team of helpers had to sneak into the towers with all their equipment and pull off the stunt unnoticed before the authorities were called in. Marsh uses talking heads, new re-creation footage, vintage footage shot by Petit and his crew, and many beautiful photographs, finding drama in nearly every step of the process. Afterward, Petit marvels at the American reporters and their questions: “Why? There is no why!” It’s a terrific film no matter how you string it. Paul Thomas Anderson’s loose adaptation of an Upton Sinclair novel, There Will Be Blood (2007) tells the story of Daniel Plainview (Daniel Day-Lewis, who won Best Actor), a ruthless oilman who goes head-to-head with a fire-and-brimstone preacher Eli Sunday (Paul Dano), and stops at nothing to get what he wants. The movie is often problematic; Day-Lewis gives a skilled, showy performance, famously channeling John Huston, but never getting as soul deep as some of the characters in Anderson’s previous films. Moreover, Anderson seems to have been more politically than personally motivated, but the movie is delivered with such a forceful cinematic vision that it's hard to shake. The ways in which it moves, sounds, and looks are absolutely mesmerizing (it also won Best Cinematography), leading many to compare it to Citizen Kane. Adapted from a short story by Annie Proulx, the triple-Oscar-winning Brokeback Mountain (2005) is flawed, but deeply felt. Best Director winner Ang Lee begins with beautiful, expansive landscapes and ends with dingy, enclosed shots. The late Heath Ledger is astoundingly soulful in his performance as Ennis Del Mar, and even though they have strong chemistry together, Jake Gyllenhaal (as Jack Twist) can’t really match him. The touching, powerful scenes of the two sheepherders falling in love and risking everything to be together might have been enough, but the movie spends a great deal of time on secondary characters; Michelle Williams is terrific as Ennis’s long-suffering wife, but scenes of Jack’s family seem extraneous. The movie also won Oscars for Best Adapted Screenplay and Best Score.